Sunder Hemrajani retired as Managing Director of Times Innovative Media Ltd (a subsidiary of Bennett Coleman & Company Ltd), a leading player in Out of Home media after a 7 year term. Sunder has a 35 years experience in Sales, Marketing and General Management functions in leading Companies like Hindustan Unilever, Whirlpool, PepsiCo, Reliance Capital and Times. He had a 14 year stint with Hindustan Unilever Ltd. where he handled senior assignments in HPC (Home & Personal Care) and Foods businesses. Sunder moved to Whirlpool in 1995 as Vice President-Sales, where he was involved in successful integration of the Refrigerator and Washer businesses and the launch of Whirlpool brand in India. 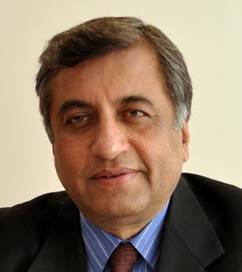 In 1999, he joined PepsiCo to lead the company-owned bottling operation in North and East and subsequently moved to corporate office where he was Executive Director-Sales for South Asia Business Unit. Sunder is an alumnus of Harvard Business School.